F1 Austrian GP 2018 Live Stream, Schedule, TV Channel & Live Telecast Information: It Was Valtteri Bottas Who Won Austrian GP Las Year, But Can Hamilton Carry Momentum This Year. Within a span of a week, F1 action will be in Austria, F1 fans will have everything to cheers for with back to back F1 event. The Formula 1 race returned to France after a gap of 10 years and defending champion Lewis Hamilton made sure to put his stamp on French GP. 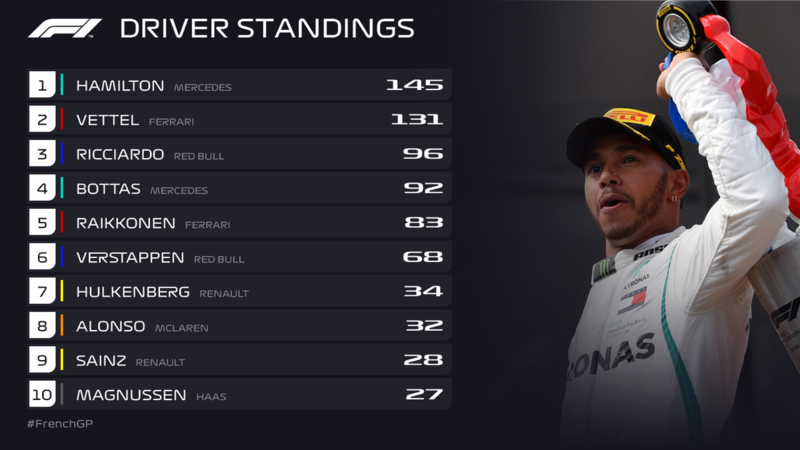 He is now the leading driver in the championship race, but the French GP was not short of drama. In the very first lap, a major collision took place as Vettel collided with Bottas, it hurt Mercedez bad as Bottas was in the second spot and there were in a chance to do Mercedez 1-2. Valtteri Bottas has some good memory of Austria he was the winner of 2017 race and also the pole sitter of 2017 race. He would definitely replicate his 2017 performance here. Sportsfeist brings you complete details of Austrian GP 2018 Live Stream, Schedule, TV Channel & Live Telecast. In case you missed the French GP on its return here are the highlights. All timings are given in Austrian local time which 2 hours ahead of GMT, means GMT+2. When was the first Grand Prix held here? Who won this F1 Austrian GP race in 2017? Valtteri Bottas with 25 points. How many laps are there in this circuit? Where will be this race in Austria? It is in Spielberg, Austria. What is the Circuit Length? What is the race distance of Austrian GP? Who made the fastest lap record at Austrian GP? Lewis Hamilton in 2017 with the timings of 1:07.411. What is the name of this F1 Austrian Circuit? Previously, it was called Spielburg circuit. It was renamed as Red Bull Ring and this is located in Spielburg. Lewis Hamilton back on top with the win in French GP. Russia FIFA World Cup 2018 Live Stream, Schedule & Live Telecast Information For Monday, June 25, 2018 Matches.